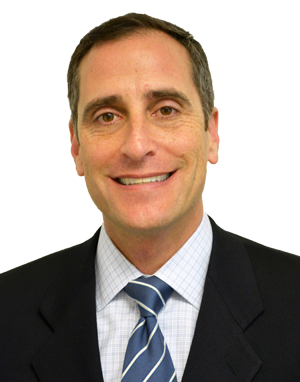 David C. Jacobson is counsel in the Trusts & Estates, Tax Law and Tax-Exempt Organizations Departments of Meltzer Lippe. David has worked with entrepreneurs and business owners for his entire career. His common sense approach, and his comprehensive knowledge of tax, estate planning, family governance and philanthropy, allow him to counsel families effectively. David has held senior positions at Deutsche Bank and UBS, where he provided trust and estate planning advice to wealthy families throughout the United States. Most recently, David led the national wealth planning effort for Capital One. He was previously an attorney with the law firm Carter, Ledyard & Milburn, in Manhattan. David’s practice encompasses all aspects of estate planning, with an emphasis on the efficient transfer of assets among several generations of a family. He has considerable expertise in minimizing the impact of transfer taxes upon the death of senior family members. He specializes in the structuring and implementation of sophisticated estate plans for both U.S. residents and non-residents. David counsels individuals on sophisticated charitable giving techniques. His tax-exempt organizations practice includes the representation of public charities and private foundations, from formation through dissolution, monitoring compliance with state and federal regulations, and advising on administrative matters with particular emphasis on grant-making activities. In addition to wealth transfer planning, David also advises on all aspects of complex estate and trust administration. He supervises the administration of estates from probate through final distribution, including all dealings with the federal and state tax authorities. David has published numerous articles in leading national publications, including Journal of Wealth Management, Estate Planning Journal, Trusts and Estates, Institutional Investor’s Private Asset Management, and the New York Law Journal. He has spoken at prominent national conferences sponsored by prestigious professional organizations including American Bankers Association Graduate Trust School, Institute for Private Investors, Practicing Law Institute, Institute for International Research, Institutional Investor’s Integrated Wealth Management Forum, Financial Research Associates, American Bankers Association, New York City Bar Association, and Florida Bar Association. David is a member of the Asset Protection Planning and the Income and Transfer Tax Planning Committees of the American Bar Association. He is also a member of the Planned Giving Advisory Committee of the New York Museum of Modern Art. David received his LL.M. in Taxation from Georgetown University Law Center in 1992, his J.D. from the University of Miami School of Law in 1991, and his B.A. from the University of Oklahoma in 1988. He is admitted to practice law in Florida and New York. David has resided in Melville, with his wife and two daughters, for many years.